But a 2.0 Liter gas plus electric motor. Which is safe to say, the same powertrain the CT6 Plug-in version is using. Which should work great in the XT5. So far, this is for the Chinese market only. But, it wouldn't take much for GM to decide to import this to the US. Just like they do with the Chinese made CT6 plug-in. I have a feeling the XT5 PHEV will start @ $55K. They need a PHEV XT3 really bad. Dumb place for a backup light -- it will get smashed before any other part of the bumper is ever touched! This heap is not doing very well vs the competition and gets bad reviews overall, especially vs price. 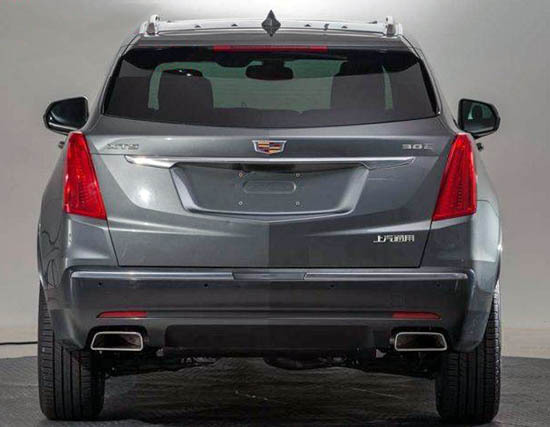 Piss poor job by Cadillac. Terrible design. Terrible terrible design. Cadillac should take a look at what Range Rover is doing, then do some of that. I know that cadillac is only interested in the Chinese market right now. But the Chinese will buy anything that they think the Western buyers like. Even the Chinese will wise up eventually. I have yet to see even a single XT5 on the roads in the Bay Area.